Hello! I decided to join in the My Favorite Things sketch challenge this weekend and figured I better go ahead and post today so I don't forget to link up :) I don't usually like the cards I make from sketches, but I really love this one. I used a stamp from the My Favorite Things Cheerful Blessing set. 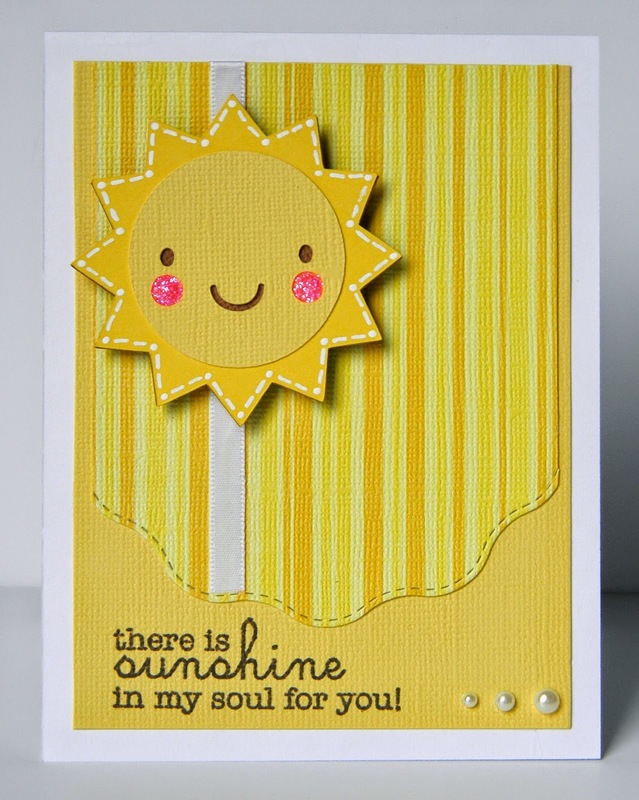 The sun is from a Cricut cartridge, cut at 3 inches and pop dotted on the card. I also used some Glam Pink Stickles on the cheeks, some white ribbon, and self adhesive pearls. Such a happy little card, Helen!